About that New Pork Belly Slider! Last month, I chatted up our delicious Salmon Belly, and I couldn’t overlook our other new addition, the Pork Belly Slider. Just like the salmon dish, I use the underside of the animal – that soft, tender, fatty part of the meat that brings about an amazing flavor that melts in your mouth – all on it’s own. 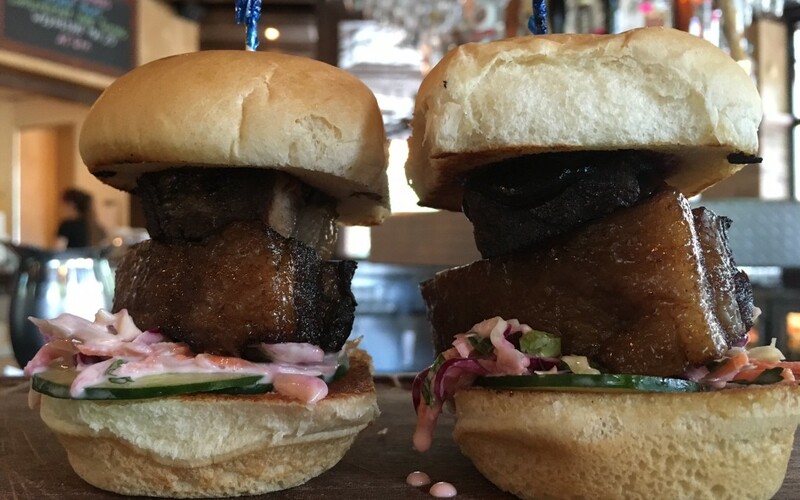 Our Pork Belly slider is served with fresh cucumber, cilantro slaw and Hoisin. Come in and try one of these savory treats. I know you’ll love it. One little note of thanks for coming in to see us this summer… whether with family visitors, after a day at the lake or just as one of our regulars, we appreciate your business, and are so glad to have the honor to feed you delicious meals over and over again!